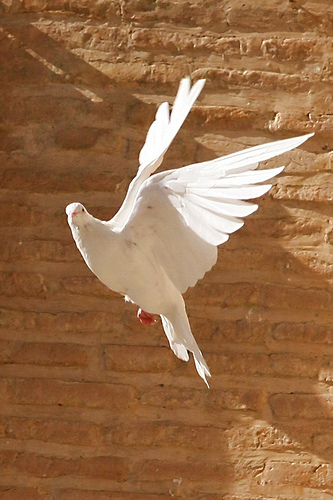 Home » Questioning Guide » What is the truth in relation to peace? There is something very interesting about this subject, and it is called perspective. The truth for me might not be the same for you… Now, why is this? Your vision has a determined experience that differs from mine. Peace only exists if it is individual, so it is a personal responsibility to find peace within ourselves for the sake of others and oneself. This is actual, a repetitive aspect of each person because that is the way we produce judgments based on memories and experience. Each vision has a certain truth and falsity in it, why? The further you are from a certain vision, the less you are likely to agree with it. It is as is if the agreement with a position depends on your understanding of what the other’s perspective is, and the more compare and ask questions that deepens the perspective, then you are likely to disagree with it. Instead of actually understanding why he says what he says. What do I mean to understand what he says? I mean to actually SEE through his EYES. This is real compassion, not a sense of pity, but love. The greatest love is the one that cares about the other’s perspective, instead of violently rejecting it. To see the past within that perspective, the experiences, and their “logic”, so there is no violence when you decide to set apart from this perspective/beliefs. What is the objective? To recreate his “ambience” to actually see why he or she is so stubborn with a certain position, then to ask what is the “truth” he so desperately lingers on, so you can see the “why”. If you are able to see his perspective from its core, then the way you disagree with him will not be violent. It is an awareness of the other, not a categorical rejection due to the fact that his “beliefs” will produce actual action that affects you. Thus, this awareness will not threaten your “ideas” that provide you a “false” sense of security. Therefore, you now can be comfortable with the fact that you can be right and wrong depending the perspective, and in that moment peace is given a real chance because there is understanding of the other and yourself. Why yourself? To understand others is to understand yourself, and viceversa because the other influences your position and the understanding of his position will make you understand better your position (right, wrong or/and both), understanding does not judge because it adds to your comparison, but doubting does divide when comparing because it separates you from the observed. Doubt me, but after understanding me? Maybe… Can we actually understand others? Could be? Think about it!We act as if peace was an exterior result, but in actuality it is an interior thing that produces consequences that can be seen as peace. However, if countries are peaceful, but people are violent… peace is an illusion. So, we need peace as an interior result; so we can understand others’ positions instead of being intolerant to what others have to say. Yes, people might be wrong, right or right and wrong, but to find and live peace it is not about who is wrong and who is right, but how much do I understand others, so I don’t take their beliefs as a threat to my beliefs. 01The capacity to listen what you don’t want to listen because it threatens your stubborn beliefs. 02The capacity to understand the other’s perspective until you make the other’s perspective yours. I am not saying that by doing this you will be convinced with his opinion or you that should believe the other’s opinion, instead within this act of love you are able to see through his eyes, and then see the big picture, what he is not able to see, and walk away. However, you will be different because you have just discovered a new perspective you didn’t want to hear, the fact that you were able to be the other will change you, and then to see the limits of his vision as you lived his vision will transform you as you love deeply. You will not see your own limits, unless you dare to go within the perspectives you most reject. If the person who you just understood would see your vision, would he change his perspective? Maybe… Will you change your perspective a little after seeing through his eyes? Yes, you might not think/believe as the perspective you absorbed, but you will see things you weren’t able to see before. This includes trying to see my perspective, and at the same time doubting my position, both acts are important… But most important is: Peace. Is it? Why?